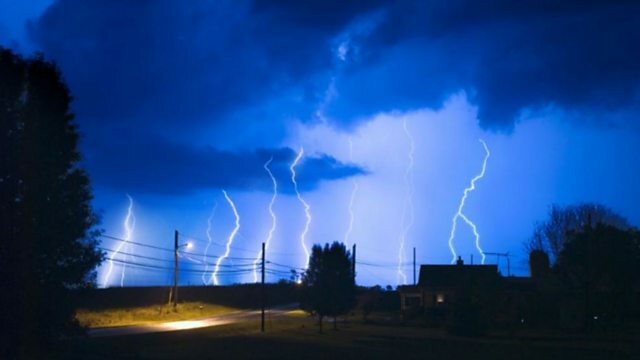 Can we tap electricity from lightning? John in Uganda wants to know. Is it possible to get power from lightning? This was the first CrowdScience question posed by listener John Emochu in Kampala, Uganda. Presenter Marnie Chesterton goes hunting for the answer at a lightning lab in Cardiff, Wales. What is a lightning lab? And how was she able to make a tiny – but very loud – lightning bolt? Marnie also discovers humanity's early history with lightning, how aeroplanes are protected from lightning strikes, and where the greatest number of thunderstorms occur in the world. With contributions from John Emochu, Rhys Phillips, Chris Stone, Rachel Albrecht, Shaaron Jimenez and Manu Haddad. Picture: Photograph of lightning from the US Environmental Protection Agency. Where is there most lightning in the world?